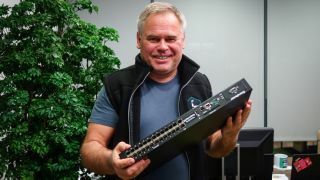 Kaspersky has launched its own operating system which is built from scratch, designed to offer tight security to Internet of Things devices and industrial control systems. KasperskyOS has apparently been some 14 years in the making, and chief executive Eugene Kaspersky elaborated on the platform in a blog post in which he clarified that this effort isn’t based on Linux, but was built completely from the ground up by the security firm itself. And he explained that this is an OS which is only capable of doing what it’s instructed to do, and can’t execute anything else – a feat not possible with a ‘traditional’ operating system like Windows or Linux. Kaspersky further noted that there have been other attempts to make such a secure OS, but that these were either prohibitively expensive or purely academic research projects – not a practical system which can be commercially deployed. Can Kaspersky prove itself against Microsoft's resilient Windows 10 efforts? And that’s where the firm’s project is at now, although the platform actually consists of three different elements – KasperskyOS (KOS) itself, a standalone secure hypervisor, and a “dedicated system for secure interaction among OS components”. Before we get too carried away, though, note that this is a niche product, and not a boxed solution – rather a bespoke offering which can be tailored and configured to the buyer’s requirements and systems. Pricing will, of course, vary widely depending on the customer’s needs. Kaspersky does admit that the OS could be further worked on to become a mass-market product, but that would “require quite a lot of time and resources”, and the company doesn’t plan to travel that route; at least not at this point. The IoT is clearly a massive security worry – for businesses large and small, and indeed consumers who are finding their security cameras, DVRs, routers and other devices being hacked and drafted into the ranks of botnets – so Kaspersky could be onto something here, and it’ll be very interesting to see where development proceeds with KOS.